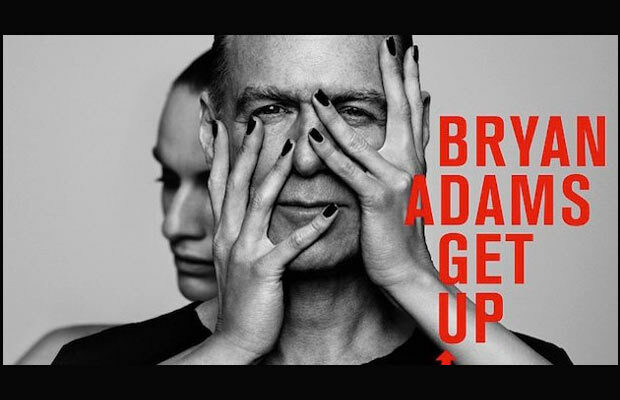 Toronto, ON – 10 August 2015 – Multi-platinum, recording artist Bryan Adams has announced the release of his brand-new studio album, Get Up. The album was produced by famed ELO frontman Jeff Lynne and co-written with his long-time collaborator Jim Vallance. The 13-track album – nine new songs and four acoustic versions – will be released October 16 via Universal Music Canada, the country’s leading music company. Get Up is a solid collection of beautifully-crafted rock songs, from the fast and furious up-tempo tracks such as lead song ‘Brand New Day’, ‘You Belong To Me’ and ‘Thunderbolt’ to the gentler songs like, ‘Don’t Even Try’ and ‘We Did It All’, plus the Adams-produced alternative acoustic versions, highlighting Adams’ unique voice and depth. Get Up is a body of work that Adams is truly proud of and with multi-instrumentalist, songwriter, producer Jeff Lynne – whose credits include The Beatles, Paul McCartney, Randy Newman and Tom Petty, as well as being the co-founder, producer and member of the Traveling Wilburys – at the helm shaping the record, Get Up will sit nicely alongside Adams’ earlier classics. A deluxe version of Get Up will also be made available, packaged in a high-quality case and containing an exclusive interview with Adams and a selection of quality photographs, alongside the music. Plus a vinyl version will also be produced for the LP fans and collectors. Get Up is available to pre-order now via all digital partners and upon pre-ordering the first of three instant downloads, a track called ‘You Belong To Me’ will be made available. This will be followed up by the lead track from the album, ‘Brand New Day’ on September 7th and the third download, ‘Don’t Even Try’ will also be made available prior to the album release. A performance clip will be released to accompany the first download ’You Belong To Me’, but fans should be excited for the official music video for ‘Brand New Day’, which has been directed by Adams and stars BAFTA Award-winning actress, Helena Bonham Carter and musician Theo Hutchcraft from acclaimed synth-pop duo Hurts. Fresh from celebrating the 30th Anniversary of his critically-acclaimed album Reckless last year, with a sold-out Canadian headline tour, Adams is already thinking ahead to another big tour in 2016.